Thomas Perronet Thompson, the son of Thomas Thompson and Philothea Perronet Briggs was born in Hull on 15th March 1783. His father worked for Wilberforce, Smith & Company Bank and became a prominent Methodist preacher and a close friend of of William Wilberforce. His mother was the granddaughter of Vincent Perronet, vicar of Shoreham and associate of John Wesley. Perronet Thompson was educated at Hull Grammar School and in 1798 he went up to Queens' College. Thompson gained the BA degree in 1802, and was elected to a fellowship of his college in 1804. He joined the navy as midshipman but transferred to the army three years later. He was commissioned as second lieutenant in 1806. In 1807 his father, Thomas Thompson, became MP for Midhurst. The following year Perronet Thompson became the first crown-appointed governor of Sierra Leone. The colony had been established in 1787 by William Wilberforce and the Clapham Set. According to Michael J. Turner, the colony was formed "as a place where free black people would cultivate the land, carry on profitable trade, and demonstrate to the world that they were not peculiarly suited to slavery, despite the claims of slave traders". When the Clapham Sect transferred Sierra Leone to the crown, the British government accepted Wilberforce's suggestion that Perronet Thompson would be a suitable governor. As governor Perronet Thompson introduced an extensive range of reforms and made serious allegations against the colony's former administrators. Stephen Tomkins, the author of William Wilberforce (2007) has argued: "He (Perronet Thompson) single-handedly abolished apprenticeship and freed the slaves. He filed scandalised reports to the colonial office. Wilberforce told him he was being rash and hasty, and he and his colleagues voted unanimously for his dismissal. 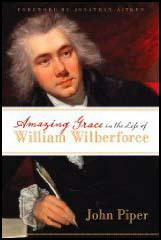 Wilberforce advised him to go quietly for the sake of his career." In 1811 Perronet Thompson married Anne Elizabeth Barker (1793–1871) of York. They had three sons and three daughters. He continued to make progress in the army and was promoted to major in 1825, and lieutenant-colonel in 1829, at which time he retired from military service. Perronet Thompson was now free to engage in political and literary activities. He became a close friend of John Bowring, who introduced him to Jeremy Bentham and his circle of philosophical radicals. In 1826 he published his True Theory of Rent. This supported the idea, put forward by Adam Smith, that rent levels were determined by demand for agricultural products, and rejected the principle advanced by David Ricardo and James Mill that rent was dependent on production costs. Perronet Thompson also became involved in the campaign against the Corn Laws. In 1827 he published his famous pamphlet, the Catechism on the Corn Laws. According to Michael J. Turner: "This persuasive argument for repeal proved extremely influential, went into eighteen editions by 1834, and prompted Thompson's election as fellow of the Royal Society in 1828. As well as his political and economic writing in subsequent years, he published works on enharmonic principles, just intonation, geometry, and the theory of parallels." The death of his father, Thomas Thompson, in 1828 brought him wealth, and he began to devote himself to radical causes. In 1829 he became part owner and co-editor of the Westminster Review. Over the next few years he contributed many articles on parliamentary reform, Catholic emancipation, free trade and utilitarianism. In January 1835, Perronet Thompson entered the House of Commons after winning Kingston upon Hull. He did not contest the seat at the 1837 general election, but stood instead at Maidstone, where he came bottom of the poll. He was then an unsuccessful candidate in several elections before his victory in Bradford at the 1847 General Election. In parliament he was a consistent supporter of radical reform and free trade. This included Chartism and the Anti-Corn League. His biographer, Michael J. Turner, has pointed out: "Thompson was a short man, stout and physically strong, with a large nose and high forehead. His hair turned grey relatively early, and he lost teeth as a result of illness in Sierra Leone. Known for simple and abstemious habits, he never seemed concerned about physical comforts and preferred to devote money and attention to politics. For much of his adult life he was vegetarian and teetotal, which suited his austere disposition and, he believed, prolonged good health. Thompson spoke with a slight northern accent and habitual solecisms.... He was slow to forgive a slight, and in his public activity proved not to be effective as part of a team. Headstrong and independent, he was sometimes too abrasive and blunt even for close associates." Thomas Perronet Thompson died at his home in Blackheath on 6th September 1869. He was buried in Kensal Green Cemetery. William Wilberforce, the most celebrated campaigner against the slave trade, was also implicated in slavery and the trade, according to a forthcoming book about him and the Clapham sect, written, it so happens, by me. Having given 20 years of his life to the struggle, after the Abolition Act was passed in 1807, he allowed the abolitionist colony of Sierra Leone, which the Clapham sect managed, to use slave labour and buy and sell slaves. This is not a claim I make with the relish of trying to bring down an over-venerated icon a peg or two. I'm a critical fan of Wilberforce for his central role in the astounding achievement in abolition, which without his stamina would certainly have failed. Neither is it a case of reading too much between the lines of meagre evidence. The facts are indisputably clear from colonial office manuscripts in the Public Record Office, whatever interpretation one might put on them. It's just a matter of information that biographers of Wilberforce have not picked up on – a point I make without any great arrogance, having been one of them myself. The story starts 15 years before the abolition of the slave trade, when Wilberforce and the Clapham sect founded the colony of Sierra Leone as a new front in the abolition campaign – to resettle former slaves and establish legitimate commerce with Africa. They continued to effectively manage it when it became a crown colony on the abolition of the slave trade in 1807. After abolition, the British navy patrolled the Atlantic seizing slave ships. The crew were arrested, but what to do with the African captives? With the knowledge and consent of Wilberforce and friends, they were taken to Sierra Leone and put to slave labour in Freetown. They were called "apprentices", but they were slaves. The governor of Sierra Leone paid the navy a bounty per head, put some of the men to work for the government, and sold the rest to landowners. They did forced labour, under threat of punishment, without pay, and those who escaped to neighbouring African villages to work for wages were arrested and brought back. Women were "given away". The one difference by which apprenticeship was distinguished from slavery was that it had a maximum term of 14 years – and in fact apprentices were generally freed a lot sooner. But this only makes it temporary rather than permanent slavery. The first crown governor of Sierra Leone, Lt Thomas Perronet Thompson, turned up when this was already underway. He was an abolitionist protege of Wilberforce, chosen by him for the job, and he was appalled at what was happening. "These apprenticeships", he complained, "have after 16 years successful struggle at last introduced actual slavery into the colony". He single-handedly abolished apprenticeship and freed the slaves. He filed scandalised reports to the colonial office. Wilberforce told him he was being rash and hasty, and he and his colleagues voted unanimously for his dismissal. 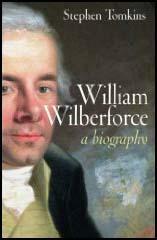 Wilberforce advised him to go quietly for the sake of his career, which he did and indeed eventually became a general and MP. What are we to make of it all? No interpretation that involves Wilberforce being corrupt, or insincere in his abolitionism, can possibly hold water. Vast amounts of his private letters and even privater journals are publicly available, and they reveal a man of extraordinary integrity and an implacable and lifelong (if slightly sentimental) hatred of slavery. The key I think is that the apprenticeship system was explicitly authorised in the 1807 Abolition Act. Wilberforce told Thompson, "I wish I had time to go into particulars respecting the difficulties which forced us into acquiescing in the system of apprenticing". Which is tantalising, but also suggests that Wilberforce had made a political decision to support it as a government policy. My theory is that Wilberforce and the Clapham sect believed that the Abolition Act would not get through the House of Lords without the apprenticeship clause, and once it was passed felt duty bound to support the system against Thompson's maverick actions. But if so, and if Wilberforce was right that without apprenticeship the abolition bill would not have been passed, then it follows that he made the right choice to support it. 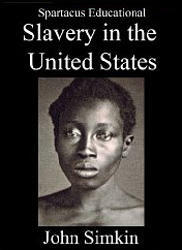 Before abolition, 40,000 African people each year were being made slaves by the British. After abolition, several hundred of them a year were still ending up as slaves in Freetown. It is a bitter irony, and a disappointment, but it does seem that Wilberforce was faced with a choice between two evils, and chose the less.